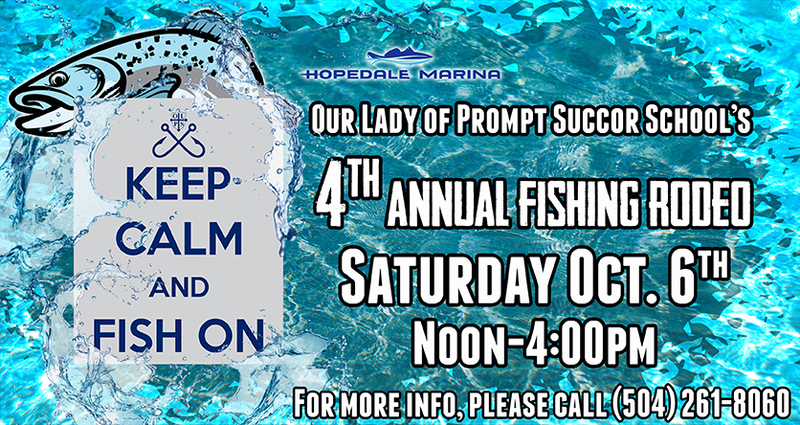 Join the Our Lady of Prompt Succor School for their 4th Annual Fishing Rodeo! The event is separated into two divisions of competition, the adult division ($40 entry fee) and child division for kids 14 & and under ($20 entry fee). There will be prizes, food, drinks, music, and tons of other fun while the anglers battle it out in multiple categories. Weigh-ins for all entries must be weighed by 4pm sharp.